On 19 September, Maryam al-Khawaja, Co-Director of the Gulf Center for Human Rights (GCHR), delivered an oral intervention at the 33rd session of the United Nations Human Rights Council in Geneva under Item 4, together with Americans for Democracy & Human Rights in Bahrain (ADHRB), the Bahrain Institute for Human Rights (BIRD) and the Bahrain Center for Human Rights (BCHR). Please continue reading for full remarks or click here for the PDF. You can find a video of the intervention here. Americans for Democracy & Human Rights in Bahrain, together with the Bahrain Institute for Rights and Democracy, the Bahrain Center for Human Rights and the Gulf Center for Human Rights, would like to call the Council’s attention to the Government of Bahrain’s long-standing and systematic abuse of human rights, particularly concerning prisoners of conscience and human rights defenders. In early 2011, the Government of Bahrain, with the support of Saudi Arabia and the UAE, violently suppressed the popular pro-democracy movement calling for human rights and democratic reforms. Five years later, many of the abuses of 2011 have been institutionalized by the Bahraini state. 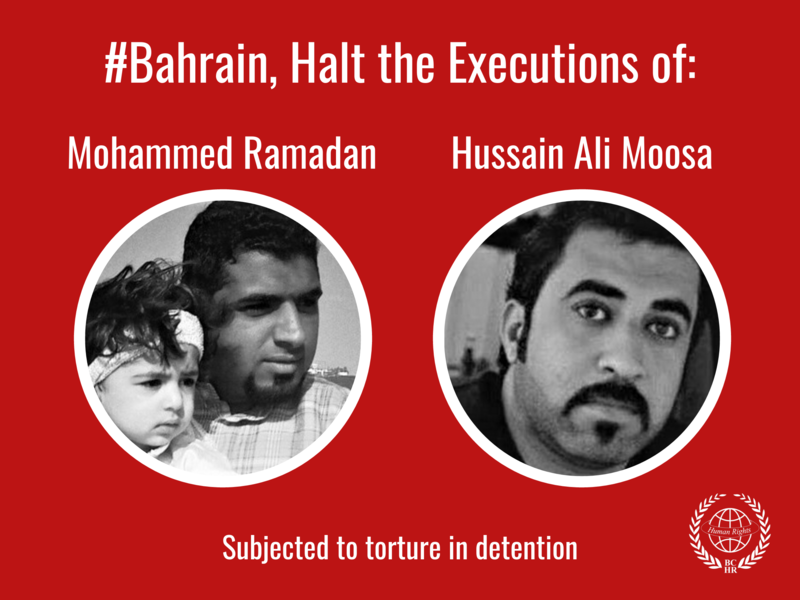 Torture and arbitrary detention are widespread and systematic in Bahrain, where false confessions extracted under torture lead to arbitrary convictions by courts lacking any semblance of independence under international standards. Under Bahrain’s counter-terror law, freedoms of assembly and expression are vastly restricted, including blanket ban on protests in the capital, Manama, and all forms of dissenting expression are criminalized. As a result, Bahrain’s prisons are now home to almost 4,000 political prisoners, among them are almost all of Bahrain’s leading political opposition figures, activists and human rights defenders. In addition, most of the “Bahrain 13” 2011 protest leaders, remain in prison today. 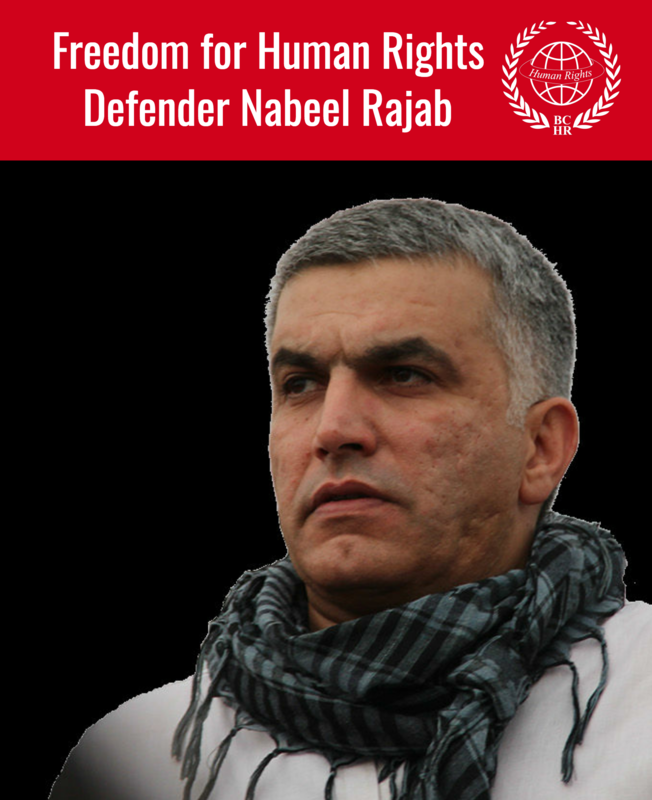 Abdulhadi al-Khawaja, Dr. Abdujalil al-Singace, Abdulwahab Hussain, Hassan Mushaima, Mohammed Habib al-Miqdad, Sheikh Saeed al-Noori, and Sheikh Abduljalil al-Miqdad are serving arbitrary life sentences, while Sheikh Abdulhadi al-Mukhodher, Mohammed Hassan Jawad, Sheikh Mirza al-Mahroos, and Mohammed Ali Ismael are serving 15-year sentences. Those that they don’t imprison, Bahrain has chosen to denaturalize and expel from the country. The government has arbitrarily denaturalized over 300 Bahrainis, the majority of whom are human rights defenders, political opposition figures, journalists, academics and Shia religious leaders. We therefore call on this Council to pass a resolution on Bahrain that insists that the government immediately release all prisoners of conscience and mandates independent investigations into past and present abuses to facilitate accountability.